Join Melissa Cole at the OREGON MIDWIFERY COUNCIL 2019 SPRING CONFERENCE presenting: Placenta Medicine as a Galactogogue: Trend or Tradition? In many communities, postpartum consumption of the placenta is increasing. What do we know about this practice from a historical and modern perspective? Amongst some, placenta medicine is considered a galactogogue, a substance that increases milk supply. 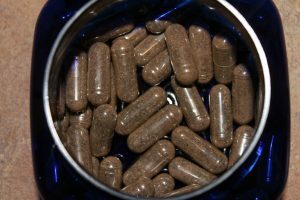 What do we know about the risks and benefits of placentophagy in the postpartum period? This presentation aims to review the existing literature and evidence regarding placenta medicine, especially from a galatogogue standpoint.